Thorny, spiny, and prickly plants can be found in many places throughout the world. These adaptations help keep the plants safe. As a consequence, some of these plants can hurt animals and humans. Many of these plants contain toxins that give people rashes. Others contain toxins that are strong enough to kill animals and humans. 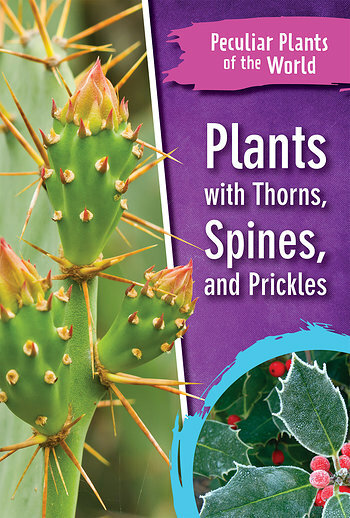 Readers will learn the difference between thorns, spines, and prickles and how these plant structures are beneficial adaptations. Full-color photographs aid readers in identifying and understanding the anatomy of these plants. Trim : 6" x 9"